At the 1572 Massacre of St Bartholomew, ultra-Catholics massacred several thousand Huguenot Protestants. — Protestant Huguenots grew into an aggressive minority in France in the 1500s — until repeated Catholic reprisals smashed them. On Saint Bartholomew’s Day in 1572, Catherine de Medicis secretly authorized Catholic dukes to send their soldiers into Huguenot neighborhoods and slaughter families. 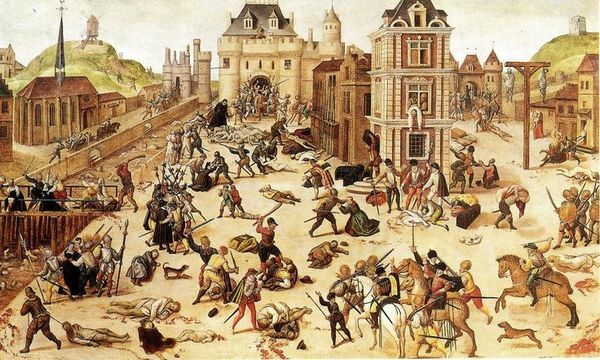 This massacre touched off a six-week bloodbath in which Catholics murdered about 10,000 Huguenots. 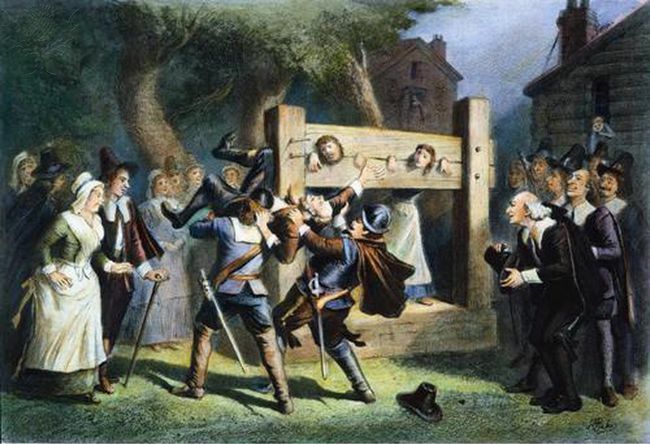 Other persecutions continued for two centuries, until the French Revolution. One group of Huguenots escaped to Florida; in 1565 a Spanish brigade discovered their colony, denounced their heresy, and killed them all. 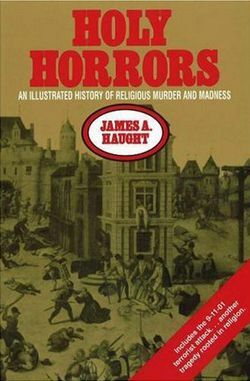 I very much enjoyed the book "Holy Horrors". Seems like it's due for a new edition…. During the 20th Century, atheist Stalin, Mao and Pol Pot killed far more than all the crusades, inquisitions, witch hunts, and yes, even jihads COMBINED. And before you hysterical atheists start jumping up and down saying "They didn't kill in the name of atheism!" (as if that would serve as any consolation to the victims or their families), the fact of the matter is they DID kill in the name of atheism. Read, for instance, about Stalin's "Society of the Godless". Case not closed, not by a long shot. Stalin's religious status ? I'm not sure, so i won't comment. Pol Pot ? Buddhist upbringing. Mao? Not atheist, but also not sure. You do realise that those three particular despots and their regimes struck out at the churches (and intelligensia) because before those religions (and free thinkers) held the minds and emotions of the common people? And once the power was removed from the religious leaders, it was then re-modelled into whatever the regime desired. That is not killing in the name of atheism. That is recognising your competitors and eliminating opposition. Your comment is disingenuous, and i wonder if it was so on purpose…. Seriously, such retarded logic. Here's the rub; Did they murder in the name of atheism? No, they did not! Deaths were for political ideologies, not a lack of religious ideology. When muslims murder those who do not follow their faith they do so in the name of Muhammad, just as Christian crusaders killed in the name of Christ, and Hindus similarly murder those who do not agree with their faith. Really, with such poor reasoning it is little wonder you are gullible enough to swallow the fairytales fed to you by storytelling shills looking for an angle. No you are severely mistaken yourself. It was to a point in that country that when he would speak somewhere the applause would continue for super extended periods of time because no one wanted to be the first to stop clapping. He would execute ppl for no real reason. 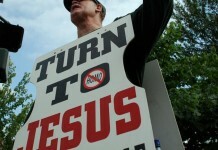 His actions and behaviors are the exact opposite of any atheist. It was ran such as you worship Stalin or you are victim of execution or starvation. Even torture and many other things. He may have claimed no religion but it was conducted as you worship him. He even killed his best friend for becoming to popular and well liked he feared that his friend would challenge him. He utterly destroyed anyone who could have posed a threat to his rule. The amount of ppl he killed is astounding. But none of it whatsoever was said specifically because he had no belief in god. His belief was obviously that he was some kind of super important almost manifestation of a man being much more than a man. You had to have complete and utter devotion to him and belive in his ways and what he was doing and how he was doing it. The problem with bean counting history is that we get the argument that only a few million were killed as opposed to 60 million. The silliness of this is coupled with modern methods of mass extermination and more population leads to greater "collateral damage." 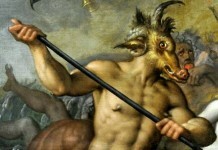 The truth is closer to that religious zealots believe their God will be pleased at their thinning the herds and one has to question why would "God" have born nonbelievers into the world so some cruel jackass could kill them as the sacrifice of their devout love of God just because they don't believe in whatever religions are selling at the time. Even more crazy is that religionists believe that saying a few prayers, or bowing to the east and so many other rituals are worthy of killing another human being. Pretty sick…. Organized religion is the beliefs of humans about a deity they call God. Zealots have always committed “Murder” in their god’s name. The “War on Terror” is not and it is as such, because you can not defeat an “idea” but it should be ” a war on the Criminals of Crimes Against Humanity”. There can be no other policy if you fight War, but, “Unconditional Surrender” of the “Criminals of Crimes Against Humanity”. And did serve in a politically insane war; known as ” The Vietnam War” (March 20, 1954 to April 31, 1975). It was a War to “contain Communism” and it was Politics that put the loss on the backs of those of us who served our Country, faithfully, but it was, on April 31, 1975, that South Vietnam surrendered to North Vietnam and the Americans went home. Politicians should never fight wars and there is “No Innocent” in war. If you do not oppose it then you support it. I supportted the “War in Vietnam” and I spilt blood there, my blood, too. They told me, Vietnam was God’s War and after I arrived and lived my life daily in War, I learned they lied to me. They were “Conservative-Republicans” and “Men of God” but they had never been to war. No war is GOD’s or Allah’s War. War is “By Human Design” for Human purposes. Crimes Against Humanity should be the only objective in 2016-2017. Put them on trial before the eyes of the World then execute them before the eyes of the World. Terrorism is a World-Wide problem and it is the duty of the World to trie and convict the War Criminals of Crimes Against Humanity and any Nations that support these Criminals of Humanity. 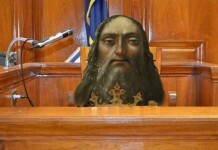 No involvement from any gods just for Crimes Against Humanity!!! To all the "atheist regimes have also committed atrocities" morons who are commenting here, there is a vital question missing from this discussion. 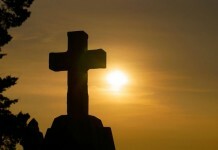 Did they kill 'in the name of Atheism'? No, they did not! They pointedly did it for political motives, NOT because they believed in some nonsensical deity who demands that those who do not agree with their fairytales should be killed. Christians kill in the name of Christ, Muslims kill in the name of Muhammad, Hindus kill in the name of their faith, and the litany of theologically inspired murders rolls on. Perhaps if you could summon the energy to exercise some consistent logic you wouldn't be so prone to believing superstition and mythology as literal fact. You forgot Mountain Meadows Massacre,w here Mormons killed about 130 men, women, and children in southern Utah. Until the OKC bombing, this was the largest mass murder of non-Native American people in the United States. The entire European enterprise into the Americas — with a massive holocaust of many, many millions, was religiously inspired… and yet, from this author, he notes Aztecs, Maya and the Inca human sacrifice. Is this Eurocentrism os simply a massive blind spot? What about the Zionist? 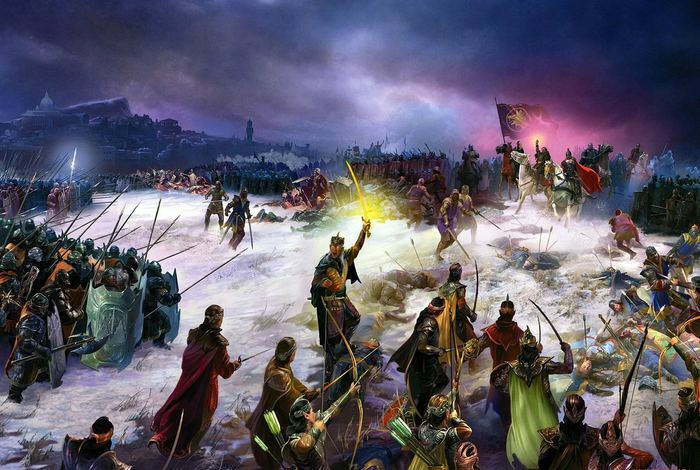 They fought the British and the Arabs to create a state for Jewish people. Reason why teaching in superstition /religious beliefs,to a minor child should be a felony it destroys the ability to think critically for life…..
Well I took part in the service of the secular religion of American Exceptionalism which kill several million Vietnamese, Laotians and Cambodians and is currently murdering millions in Afghanistan, Syria, Iraq, Libya, etc. If you live in the US, you should research the terrorist savages that were enslaved, [Eastern US] ethnically cleansed, exterminated and imprisoned in concentration/death camps in the name of American Exceptionalism. If Donald Trump becomes President the bloodshed will happen again as he is a nutter who will do the beconing of the Vatican. A chronicle of horrors fuelled by religious zeal over a millennium again showing why society needs to be more secularized. Political bigotries being akin to creeds means that volunteers are always needed in the fight against all religion and prejudice.